A food drive conducted by Project Stay and the Social Work student group League of Lions will ensure that children staying at Children’s Haven have plenty eat. Items collected during the food drive are being stored in the Project Stay office. 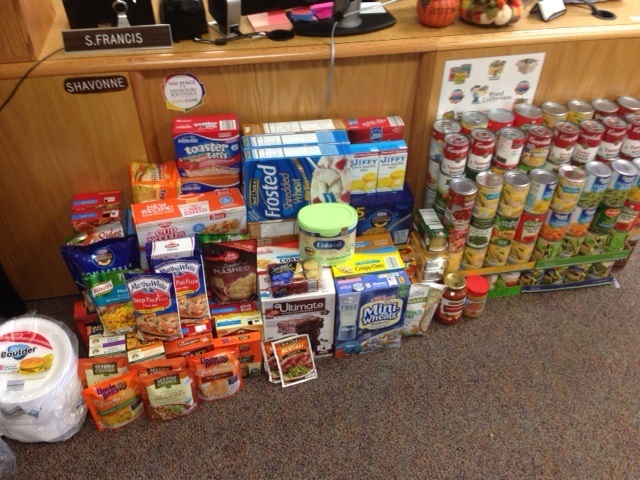 In all, the community service project rounded up more than 130 cans of food, not including boxed items such as cereal. Davis said the food will be delivered next week to Children’s Haven. The Joplin organization provides a safe place for children to stay during a crisis situation.